Moby - Last Night - I was one of those who hopped on the Moby Train when Play came out. And then like most folks, I got Play-ed out. There was too much Moby everywhere. I also started noticing too many recurring sounds and repeated structures in his songs. 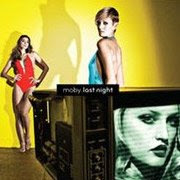 Moby has said that Last Night is a journey of a full night of partying scaled down to 60+ minutes. And it's at its best when the sound doesn't sound like Moby. There are some interesting tracks like "Alice" that have international vocalists/rappers joining the party and these are always the highlights. Plus I always support concept albums. There's actually a 10-minute free mashup that he did of the entire album that, due to brevity, is better than the album itself. It's available here. 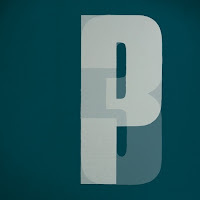 Portishead - Third - Awesome, terrifying, brilliant, and occasionally creepy. I haven't listened this one as much as the others on this list because it's such an intense experience. It doesn't help me get through the workday. Raconteurs - Consolers of the Lonely - Just as freaking sweet as was stated in my less sober entry from a previous month. First track and last track are just as good on the 20th pass as on the 1st. Better perhaps. A good go-to when I have to rock. 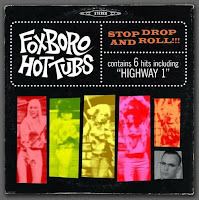 Foxboro Hottubs - Stop Drop and Roll!!! - So yeah, these chaps may sound familiar as soon as the first song starts. A terribly kept Internet secret: it's Green Day's new album. The question arose, how does a band followup a bold rock-opera-esque statement album that was not only smart but really catchy? Plus American Idiot called the out the current administration as fools and fascists before it was fashionable to do so. How do you follow up a cultural phenomenon? With 12 tracks of nothing but '60s Pop, of course. One can dissect the lyrics of course, but the sound is so contagious that I haven't even attempted it. Shadows of Knight - Gloria - I may have discovered a potential top 5 band. This 1965 release is as good as all of the snobby critics say. Yes, I realize that I'd said in a previous post that I hate white guys covering blues standards. But these kids are really good. 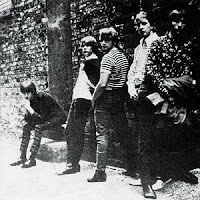 Of course their original lineup only released one other album which I'll be snatching up later this month. James - Laid - With Lanois and Eno on board, James sounds like they were trying to make their Joshua Tree. And the result is really good. "Laid" of course was the one single that folks remember but it sounds nothing like the remaining tracks. Most of the music centers around quiet meditations on spirituality, fractured relationships, and fear. U2 fans would probably like this -- songs like "Sometimes" "Say Something" and "Five-O" are broad, epic, and catchy enough to remind said fans of U2's earlier work. 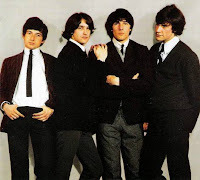 The Kinks - Face to Face - My intention was to fall into bliss over The Kinks. I always assumed I would someday. But I haven't. Face to Face is a good album, but is so specifically about British society in the early 60s (every song is about money or class) that it's difficult for a Yank like me to relate. It's impressive as a social or cultural artifact. I'm really enjoying two of the songs. "Holiday in Waikiki" makes fun of Hawaii as a commercialised vacation place where everything (including the hula skirts) is made of plastic and no one actually is Hawaiian. "Rainy Day in June" creates an intense state of dread from start to finish. The Kinks - Something Else by the Kinks - But I do like this album much better. "Waterloo Sunset" is a lovely as everyone says and has the best replay value of all of their songs. "Hairy Rag" and "Death of a Clown" are fantastic too. This one's recommended over Face to Face unless you're British and find more meaning in the earlier album that I have. I've saved the best for last. 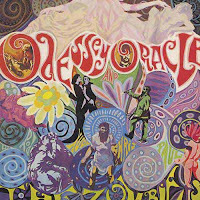 The Zombies' Odessey and Oracle. I listen to it in my sleep. I listen to it at work. I'm listening to it right now. It's the 1968 psychedelic rock album by a bunch of guys who didn't drop acid. Every single song is good. It has zipped right up to my Top 10 Ever in two weeks. Of course, like Shadows of Knight, The Zombies only had two albums. Pisser. Anyway, some of the songs remind me of images from my childhood, others of my dreams, others of my lover. Plus it has an intense anti-war piece and the sexed-up "Time of the Season", their only successful single (wherein Colin Blunstone purrs "What's your name? Who's your daddy? "), all in about 36 minutes. I don't know how I happened upon this album, so I think it happened upon me. On tap for the rest of the summer: The rest of the The Zombies' catalogue, ditto for Shadows of Knight, and two more Velvet Underground albums. Man, your music is GHEY! I like the Raconteurs a whole bunch. You know who's surprisingly good? Against Me! New Wave is a good rock record. Have you seen all this stuff on VH1 about a WHO tribute? I'm watching that, unless I'm moving boxes. Let me know if you see The Who tribute. I'm tired of seeing them still trying to perform almost as much as I'm tired of The Rolling Stones. Please being embarrassing, guys. Dunno much about Against Me! I'll snoop around online for a listen.